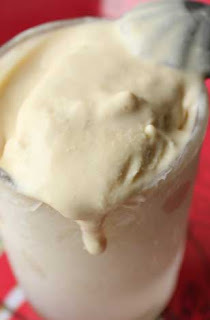 And yet another ice cream recipe- I can't help it, homemade ice cream is soooo delicious and easy to make. This is not a crazy flavor, but I think if you look around, the ingredients will set it apart from any other Baileys recipe. The use of the brown sugar and the Grand Marnier combine to create a tremendously intense flavor. Do note that with all the liquor in this recipe, the ice cream will not get as hard as others. The key is that you can use it directly from the freezer, you won't need to let it soften at all. Or, go ahead and let it soften and use it as a shake! 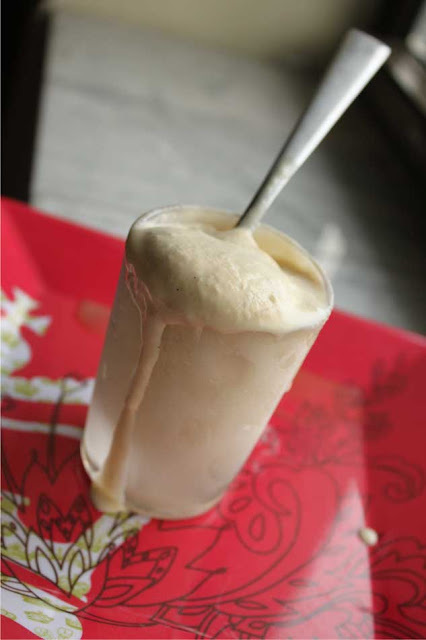 It's a superb ice cream that will give you a boost, Don't hesitate, make this today, it's a super fat and happy treat. Heat the cream, the scraped vanilla and bean, the coffee beans and the brown sugar over medium heat. Do not boil, stir occasionally. While the cream is warming, whisk the eggs yolks and the white sugar until they turn pale a fluffy. Temper the yolks with the warm cream by adding a little bit of the cream to the yolks, about 1/2 cup at a time, until the yolks are warmed. Pour into the cream, add the salt and continue to cook over medium heat, stirring until the custard becomes thick and coats the back of the spoon . Add the Baileys and the Grand Marnier, remove from heat. Cool in an ice bath. If you have the time, let the custard mixture sit in the refrigerator over night to help set up the custard and to let the flavors meld. Leave the vanilla and coffee beans in the custard, remove before freezing. Follow your ice cream machine manufacturers directions.